Rozzi – who is she? 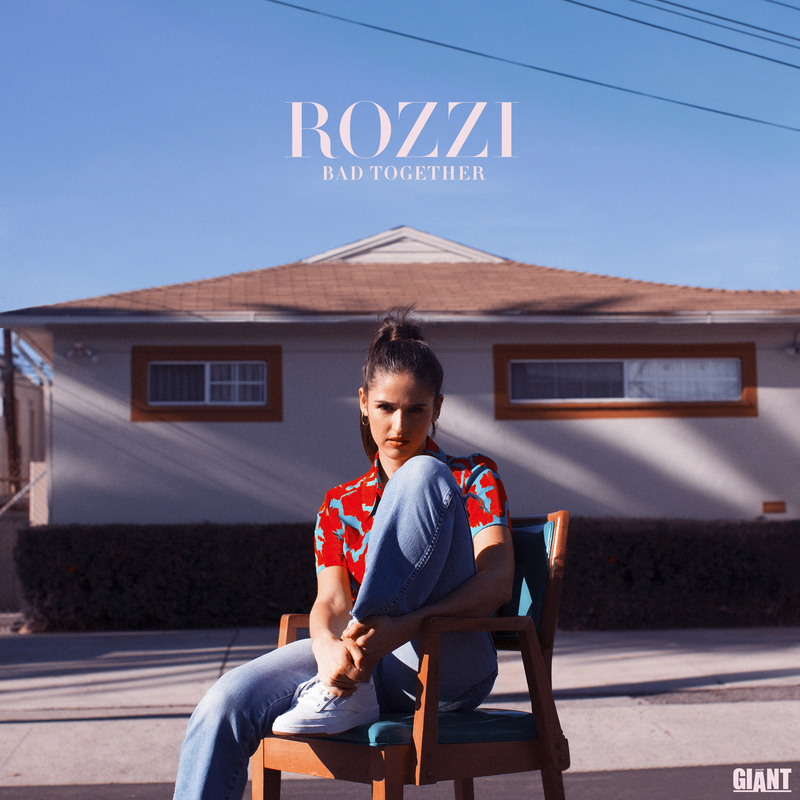 Rozzi: Soulful and very personal. My main focus when producing songs is to make sure we don’t over do it. I always want the focus on my voice and the words I’m singing. My favorite music makes me feel understood and down with myself. There’s something about being seen that makes me feel so empowered – I hope my music does that for other people. Do you have a favorite lyric from your new album? What was the biggest difference in terms of writing and recording Bad Together compared to your previous music? These songs are way more personal than anything else I’ve written. I spent a whole year just living fuller and writing constantly before I got to the bulk of this album – I never could have written songs like this if I hadn’t taken that time to get that deep with myself. 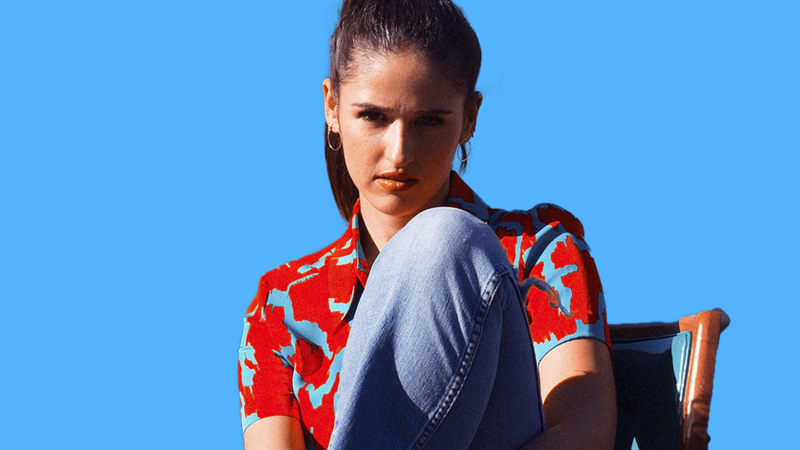 It’s important to me that I’m authentic and honest in all three of those places but I’m low key kind of shy in life so I tend to be more open and forthcoming in my songs than anywhere else. You have said that “I feel like I grew up in a world where women needed songs that declared our independence and ability to be fine on our own” – why do you think that is? It used to be an accepted fact that a woman needed a man in her life. The generations before ours blew that up in a lot of ways – music being one of them. I try to imagine how it felt to hear Aretha sing ‘Respect’ for the first time. Maybe it was similar to how I felt hearing ‘Independent Women’ by Destiny’s Child for the first time – there was a newness to those songs that represented the change happening. And I think we needed those songs to end certain perceptions. Now the conversation can be more nuanced. With my album, I wasn’t afraid to say I wanted a man in my life because I think it’s generally understood that I don’t need one. I had that luxury because of the groundbreaking anthems that came before me. Beyoncé, Ms Lauryn Hill, Stevie Nicks, Sheryl Crow, Ariana Grande. I’m so obsessed with Kasey Musgraves. I wish there were more female producers. And I want to do better on my next album by working with more female writers too. I work with so many incredible male writers who can totally relate to my emotions, but there’s nothing quite like another woman in the room. And it’s also just important to me that I support other women and sometimes that requires a conscious effort. When I started out, I was a teenager signed to powerful men. It was not easy to make myself heard. I think it’s hard for any young artist working with older, more experienced people, but it’s particularly hard for young women, especially because most of the industry is still run by older men. That was very frustrating for me but it’s also forced me to really figure out who I wanted to be and what I wanted to say. It’s a lot easier to get what you want if you really know what you want. Take your time to get to know yourself and to develop your identity before letting someone else get involved. The more of your painting you can fill in on your own, the easier it will be for you to stay true to yourself. It also makes it easier for the people behind you to push you in the right direction. It’s so easy to forget that you’re in charge when you’re new and young – but you are in charge. You also have so much more time than you think you do. I really just love to sing live and write songs. As much fun as it can be to make a music video or come up with a marketing plan, I am never as happy as I am when I hit that special frequency at a live show or when I have the spark of a good idea in the studio. That’s the whole point of all of it to me. Independence, resilience, hard work, honesty, and vulnerability. I know I literally just put out an album but I have so much more music to share next year. I’m also creating a live show with my favorite ballerina, the incredible Isabella Boylston. It’s going to be me and my band playing my songs live, with Isabella dancing alongside us and I’ve maybe never been so excited about anything ever!! !